Smartphone manufacturer LG has been working hard recently to gain more of a foothold in the crowded market, and has done so with the likes of the LG G2 but the LG Stellar design would really raise the bar. We get to see a number of concept phone ideas but the one we have for you today is using a number of clever accessories to take the device to another level. 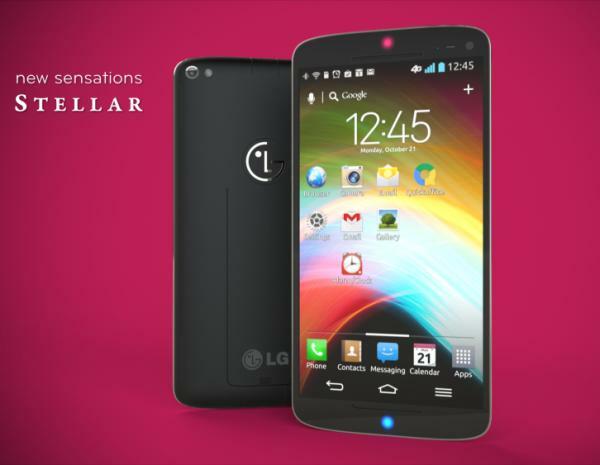 The handset is the work of designer Cristophe Simeon and is his vision of a top of the range smartphone from LG. The handset has a 5.5-inch Full HD display housed onto a device that only measures 8.9mm thick and is powered by the Qualcomm Snapdragon 800 quad core processor clocked at 2.3GHz. This is coupled with 4GB of RAM along with 32GB of on board storage, and strangely we have a 13-meagpixel rear facing camera while there is a 16-megapixel unit around the front. Other features include Xenon flash, stereo speakers, 3,200 mAh battery, NFC, and a microSD card slot but it’s the accessories that could give this handset the edge over the competition. The Fuel Active Folio rear cover adds a hinge to the device for viewing content along with a 6,400 mAh battery along with some screen protection. The Hankook accessory brings Qi wireless charging along with a kickstand while the handset itself is built using a magnesium frame that is also waterproof. 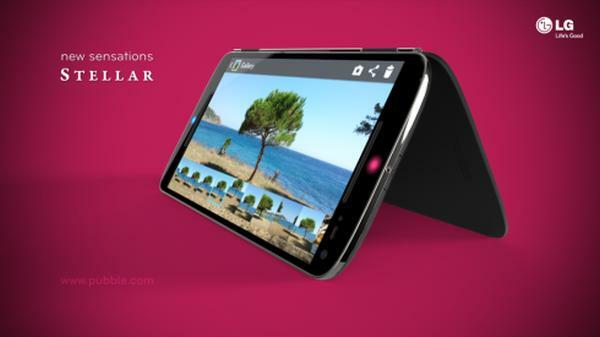 Would you like to see a handset like this? The front looks pretty much the same as the G2, except the G2 had even smaller bezels 😛 the back design looks nice, though I’m not sure about Magnesium.. Lol, unless somehow they make it free from oxidation and less reactive.